We’ve all been there at one point: sat in our bedrooms, making homemade pause/record mixes with our tape decks, convinced that someday our names would grace music history books alongside Grandmaster Flash, Steinski and Jazzy Jeff. But alas, our mixtapes that could’ve made Spinbad sweat have been chewed up and acquired nothing but dust, and ‘cut n paste’ has sadly become a term that causes even the strongest of us to shudder, as we recall a grueling day in the office struggling with Excel. But one DJ, hailing from North London, held tight to his dreams; his undamaged mixtapes have only gotten more polished and famed as he continues to commandeer the cut n paste fight – the irreplaceable, definitive hip hop protagonist, DJ Yoda. Surrounded by music from his very onset, with both parents avidly working in the industry (his father a manager of legendary artists such as Eddy Grant and Eurhythmics; his mother working for various producers), even young Duncan Beiny’s bedroom was no escape, being the storage space for his dad’s abundant record collection. His father’s cherished pop records were thoroughly ruined when Duncan began learning to scratch at the ripe age of 15. Originally DJing under the name DJ Beiny (actually his first two initials and surname), it was a Yoda toy that sat by his turntables that ultimately gave him a DJ name that stuck when he was 19 years old. His combined loves of quirky pop music and 90s hip hop became fused and intertwined on home-made demo mixtapes, at first modestly distributed amongst the smaller of record shops. They eventually caused such a stir on the underground hustle – by the year 2000, over 5,000 were being distributed around the country - that it caught the attention of Antidote Records, through whom he released three consecutive volumes of an official mixtape series titled ‘How To Cut & Paste.’ Entertaining, sentimental, kitsch and musically unbound, the mixtape series brought an accessible sense of humour to what had essentially become the serious, elitist world of hip hop. While Yoda continues to battle the constrictions of genres and tight-lipped conformists with his DJ sets around the world, he keeps busy with each finger in a different pie: producing ("With ‘The Amazing Adventures of DJ Yoda,’ I sat down and made a list of everyone I wanted to work with in an ideal world and managed to tick off everyone on the list. It was unbelievably lucky and I was so happy to have done that. Having worked with Biz Markie and the Jungle Brothers, I’m now looking forward to my second artist album. "); A/V shows ("I’m going to change the video stuff this year – I’ve been doing the shows for some time now as club things but I think they work better as actual shows. I’ve done them in cinemas with people eating popcorn, or as midweek evening shows and I think they work better for that. I’d like to develop that more as a show and keep the DJing as just DJing. "); writing (contributing to HHC and ageing bboy bible, Fatlace); even more surprising mixtapes ("I’m working on a ‘How To Cut & Paste Country Edition’ later on in the year"), and, even projects as unexpected as classical music ("A classical composer wrote a concerto for turntables which I performed with a 40 piece orchestra! It was an avant-garde piece – obviously totally different to the music I normally play"). 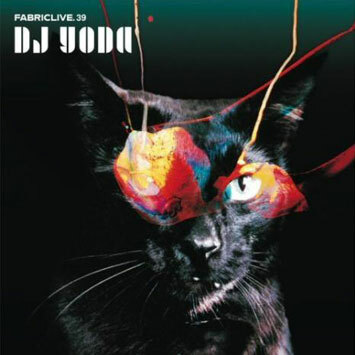 With his skills being set out, it comes as little surprise that on FABRICLIVE 39, DJ Yoda manages to effortlessly bring everything and anything into the mix: from the most unpredictable to the stone cold classics. All concepts aside, this is straight from the club. Yoda provides a fusion of old meets new, pulling together beats, bass and sounds from streets around the world – from London to Brazil to Jamaica to Baltimore. With New Jack Swing giving Baltimore house a twirl, Minnie Ripperton grabbing drum’n’bass by the hand, Salt N Pepa getting down with Baile Funk and dubstep grinding up next to Lord Kitchener, DJ Yoda brings it all together for some straight up fun times. "This mix is unique for me. After all these years and all the mixes I’ve done, this is the first mix that’s actually representative of what I do in a club. As much as the ‘How To Cut & Paste’ mixes represent my style, the fabric mix is the first time you’ll hear what I sound like in a club, as opposed to me sitting at home in my bedroom fiddling around with tiny pieces of music. It’s music you can dance to."